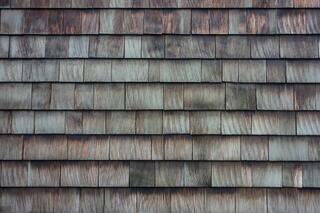 Wood shingles, or wood shake roofs, have been around for almost as long as humanity has been building homes. They offer a proven design that is both durable and long-lasting in Arizona. Modern, higher-quality shake materials are both fire retardant and offer a high level of thermal insulation to help keep your home cool in the summer and warm in the winter. Shake roofs in Arizona are a great way to give your home a rejuvenated look and thanks to a wide variety of materials and colors, Arizona homeowners can easily select from rustic to modern and everything in between. In terms of cost-savings, cedar wood is long-lasting, making it an ideal roofing material. Cedar lasts at least 10 years longer than common roofing materials, like asphalt. Cedar wood shingles and shakes are also resistant to strong winds and are durable in hurricanes, heavy rains, hail storms, snowstorms, and other types of severe storms. With its natural and tailored appearance, it is used on traditional, modern residential and non-residential structures. Permanent fire protection is created by pressure impregnating fire retardant polymers into the innermost cells of cedar shakes for class C or B shake and shingle roof systems and class "A" shake roof systems.